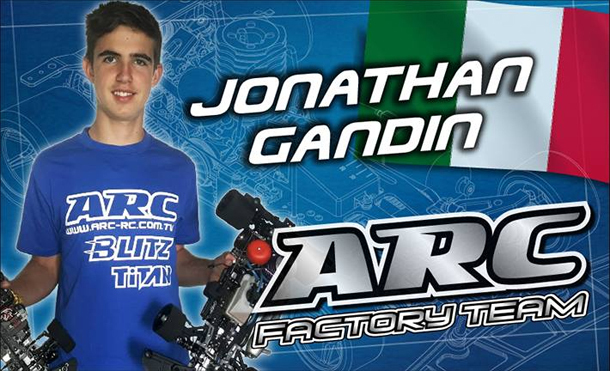 ARC is pleased to announce 15-year old Italian Jonathan Gandin to join our factory team. "After a few years driving the ARC R8.0 and R8.1, I have decided to join the ARC factory team and very happy to sign a 2 years contract. ARC represents one of the top brands in R/C and I will do my best to perform and make maximum race result as good as I can. I hope to see more ARC drivers in the coming future."